Productions with Asian American themes were recognized at the L.A. 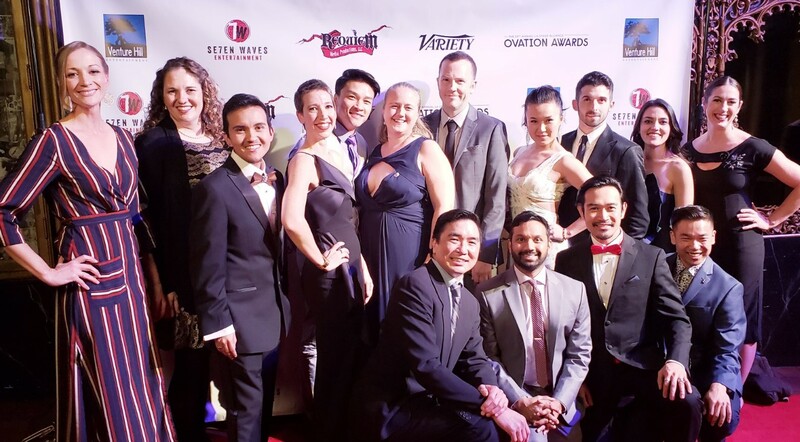 Stage Alliance’s 29th annual Ovation Awards, presented Jan. 28 at the Theatre at Ace Hotel. Center Theatre Group’s production of “Soft Power,” which was presented at the Ahmanson last spring, won six awards: Best Production of a Musical (Large Theater), Best Book for an Original Musical for David Henry Hwang, Best Lyrics/Composition for an Original Musical for Hwang and Jeanine Tesori, Best Musical Direction for David O, Best Lead Actress in a Musical for Alyse Alan Louis, and Best Costume Design (Large Theater) for Anita Yavich. 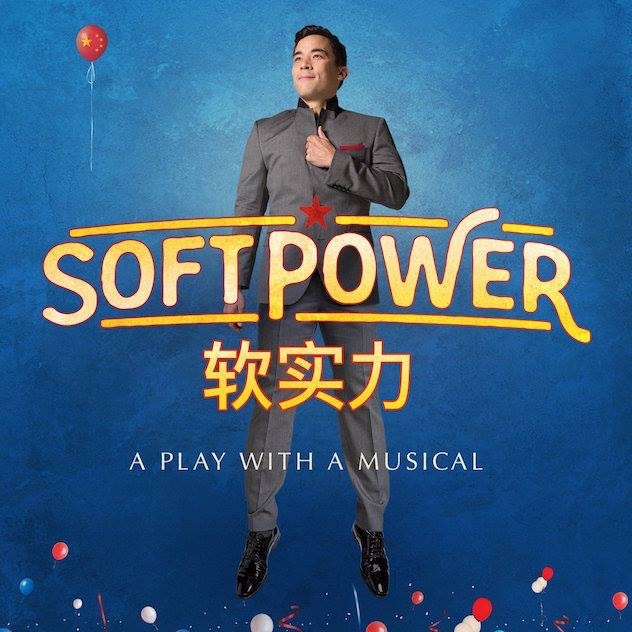 “Soft Power” was also nominated for Acting Ensemble of a Musical, Choreography (for Sam Pinkleton), Direction of a Musical for Leigh Silverman, Lead Actor in a Musical for Conrad Ricamora, and Sound Design (Large Theater) for Kai Harada. Rogue Artists Ensemble’s “Kaidan Project: Walls Grow Thin,” co-produced with East West Players, won Best Scenic Design (Intimate Theater) for Dillon Nelson and Keith Mitchel, Best Sound Design (Intimate Theater) for Gillian Moon and Stephen Swift, Best Video/Projection (Intimate Theater) for Matthew Hill, Ovation Honors for Music Composition for a Play for Adrien Prevost, and Ovation Honors for Puppet Design for Greg Ballora, Sean Cawelti, Christine Papalexis, Jack Pullman, Morgan Rebane and Brian White. “Kaidan Project” was also nominated for Best Production of a Play (Intimate Theater), Lighting Design (Intimate Theater) for Karyn Lawrence, and Costume Design (Intimate Theater) for Lori Meeker. “Allegiance,” co-produced by East West Players and the Japanese American Cultural & Community Center, received four nominations: Lead Actress in a Musical for Elena Wang, Featured Actor in a Musical for Eymard Cabling, Sound Design (Large Theater) for Cricket Myers, and Video/Production Design (Large Theater) for Adam Flemming. Jodi Kimura was nominated for Featured Actress in a Musical for “South Pacific” at La Mirada Theatre for the Performing Arts. The award went to Beth Kennedy for “How the Princh Stole Christmas” at Troubadour Theater Company, but Kimura’s co-star Jeff Skowron won the award for Featured Actor in a Musical. 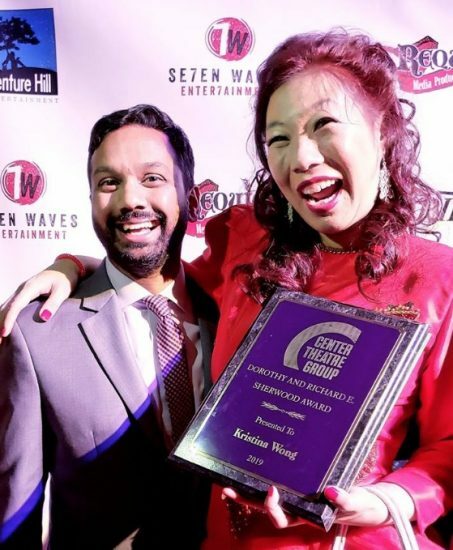 The CTG Robert Sherwood Award for innovative and adventurous artists went to writer, comedian and performance artist Kristina Wong (“The Wong Street Journal,” “Wong Flew Over the Cuckoo’s Nest”). Endowed by the Sherwood family, the award is accompanied by $10,000.